If you are the owner of a very large in ground swimming pool, we have the swimming pool cleaner for you. The Dolphin Wave, the Wave is designed to be able to clean in ground swimming pools up to Olympic size. That is how powerful the Dolphin Wave is. 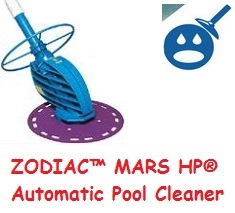 This automatic swimming pool cleaner is great as a professional swimming pool cleaner for public swimming pools too. Dolphin is one of the most popular automatic swimming pool cleaners in the world. 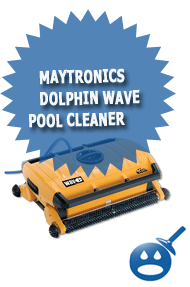 Maytronics is the manufacturer of the Dolphin Wave; they have been in business for over 25 years perfecting the art of automatic swimming pool cleaners. They make a Dolphin cleaner for every swimming pool. All of their products are distributed all over the world, from North America to Asia. The Dolphin Wave is one of the most popular commercial swimming pool cleaners on the market today. Let’s take a look at what the Dolphin Wave has to offer you. What are the Specifications of the Dolphin Wave? The Dolphin Wave has a suction rate of 40m per hour with 12,682 IMP gallons per hour. The Wave has a suction width of 27-1/2 inches. The cable length of this professional pool cleaner is 121 foot. 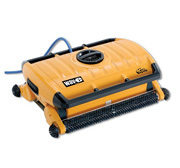 This automatic swimming pool cleaner has two standard filter bags that are easy to remove and easy to clean. The Dolphin Wave has a built in MMI, which stands for Maytronics Machine Interface. This is an interactive one of a kind MMI digital control panel. With this control panel you can program the cycle time, operation delay and it can diagnose any technical problems as well as set the parameters. What are the benefits of the Dolphin Wave? The benefits of using the Dolphin Wave for your in ground swimming is that it has an intelligent scanning system that guarantees complete coverage of all swimming pools no matter what shape or size. The Wave is also equipped with an active brushing system. These brushes rotate as the Wave travels through the swimming pool. The Wave is capable of brushing the pool floor, slopes and even edges and corners all over the swimming pool. You will be left with a clean swimming pool and no dirt pockets of any kind. How Does the Dolphin Wave Cleaner Work? To get started, make sure that all connections are tight and secure. Then lift the MMI cover on the control panel. Then turn on the power supply, you will see the screen turn on. Then on the MMI you will press POOL, the pool cleaner will start moving towards the pool. As you lift the cleaner by hand or with help from the caddy, which comes separate, the pool cleaner will simply adjust to the bottom of the swimming pool. Then it will self program a pattern and start cleaning your swimming pool. Can the swimming pool be used when the Dolphin Wave Swimming Pool Cleaner is being used? No, it is not recommended because the Dolphin Wave is plugged into an electrical outlet. When you read the manual, one of the first warnings posted in the manual is not to go swimming when the Dolphin Wave is at work. You should always unplug the Dolphin Wave at the main power supply and not from the cord. What are the other Safety Precautions of the Dolphin Wave? It is recommended that the Dolphin Wave Robotic Swimming Pool Cleaner not be used more than 3 meters from the swimming pool’s edge. If you need to inspect the Wave, make sure that the unit is unplugged. It is recommended that the Dolphin Wave’s original power cord be used. Do not run with an extension cord. If the cord breaks, it is recommended that you bring the Wave to a certified technician, which you can find on the Maytronics website. Can I use the Dolphin Wave on my home swimming pool? The Dolphin Wave was designed to clean very large swimming pools up to Olympic sized swimming pools. Unless you have a very large swimming pool, the Wave is more designed to commercial size swimming pools. If you have any questions about the Dolphin Wave, contact their customer service center. Sometimes even maintenance personnel of public and commercial swimming pools need help cleaning their swimming pools. The Dolphin Wave is one of the best in the industry. They are extremely powerful and easy to use especially with the MMI on the control panel. The Dolphin Wave has everything could need and more in swimming pool cleaner. It is made with the most durable construction and it is made to last many years. 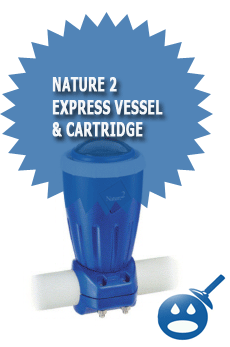 The Wave has an exceptional brushing system as well as a powerful filtration system. Don’t forget about the Maytronic Machine Interface (MMI). It is equipped with a remote control and safety features. The Dolphin Wave comes with a 2 year bumper to bumper warranty. DO NOT BUY a Maytronics product including ANY Dolphin Pool Cleaner. Their products are cheap and their repair and service policy is “the customer is always wrong.” We bought an expensive cleaner with a five year warranty and though they admit it is their product at fault they want 3/4 of the cost of the original product to replace the motor. Thieves! this vacuum has been the absolute worst purchase my aquatics department has ever made. it is in for repair or broken for about twice as much time as we have been able to use it. every single time we send it in, there is a different issue! 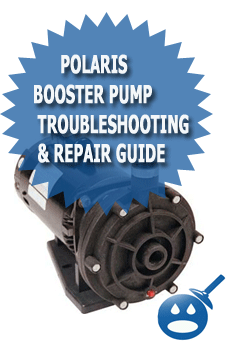 the warranty doesn’t cover shipping, which typically runs us 300-400 EACH WAY! the fewer the parts, the lower the potential for repairs. DO NOT buy this vacuum.